Please select a size. 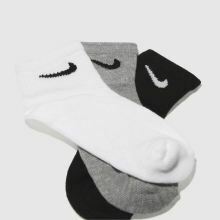 XXS 6.5 - 9.5 - In StockUK 9.5-2.5 - In Stock Please select a size. 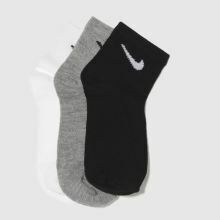 Essential for smaller feet that are always on the move, Nike deliver the Kids 6 Pack Quarter Socks. 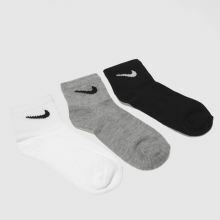 Allowing for that ever-fresh feeling, the fabric socks arrive in black, white and grey to offer everyday comfort and use. 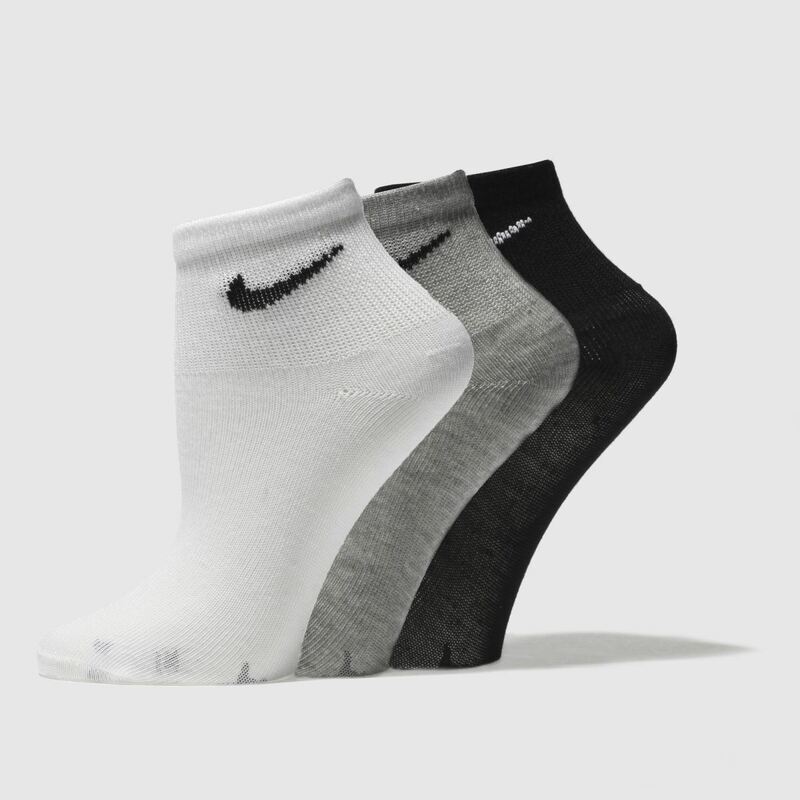 Swoosh branding finishes nicely.